Flying through the air, graduation caps sway in the wind as the Class of 2016 ends its college journey and gets ready to begin a new chapter. In many ways this celebratory moment can be also a time of great prospection about what lies ahead; it can leave many students wondering about what new challenges they will have to face and what will happen to the numerous friends and professional connections they have fostered while completing their undergraduate degree. It may be hard to predict the challenges, adventures and situations that lie ahead, but one thing that can help us through this transitionary period is staying in touch with friends. The best way to stay in contact with friends and past colleagues is to keep the lines of communication open and use available resources such as social media, email and texting to communicate. Along with social media, there are a variety of options one can use to converse with friends and keep one another updated on what might be new. Starting with the trio that is most utilized at the moment, Facebook, Snapchat and Twitter, these social media platforms can all be utilized to share information with old friends. Using each platform in a specific manner can help to eliminate the chaos and make it easy to manage all the pathways of communication. Facebook can be best used by sharing pictures and major life events with others; these events could include jobs, relationships and even housing changes – all of which might change over the course of time. Facebook Messenger can also be used, as it is specifically designed to facilitate and promote communication; you can even send attachments, pictures, and even money on it as well. Pretty much anything that changes on a temporal basis can be thought of as Facebook appropriate material. Twitter should be primarily used for sharing opinions and finding quick news hits. One might be able to use this to comment on a specific issue and a friend might see it and start up a new conversation regarding that information or specific opinion. Twitter isn’t so much about conversing with friends – although that is an available feature – it is more about quick-hitting information that is usually an opinion on a specific topic; since posts are limited to 140 characters, thoughts are brief and concise. Last of the trio, Snapchat – this social media platform might be the best way to constantly communicate with others without having to initiate a “real conversation.” The simple act of sending a picture might be all it takes to let someone know that you didn’t forget them or that you want to quickly talk to them about whatever picture you may have sent. In fact, fourth-year NPB student, Nicole Dudaney, firmly believes “Snapchat is the best way to stay in-touch with friends because it is quick, easy, and personal”. With the new chat feature, this allows people to further elaborate on specific topics as well. Aside from social connections, professional ones matter as well and can potentially affect future employment opportunities. Shreya Gupta, a fourth-year NPB major, elaborates on this by saying, “Professional connections are a key part of college and I use LinkedIn and emails to help me stay connected with others”. As far as email goes, most people use this to communicate – whether they are older or are graduating in the spring, everyone knows how to use this. LinkedIn may not be as familiar to some people but it can be thought of as a resume on wheels. It offers a professional sampling or snapshot to whomever views it and can be used as a great way to keep friends updated. It also shows job postings and experts in the field to help people looking for employment. Whether it is for social or professional reasons, social media is a vital facet to staying connected and must be utilized properly to make sure connections are maintained. Good luck on the endeavors ahead and make sure to keep your friends updated every step of the way! 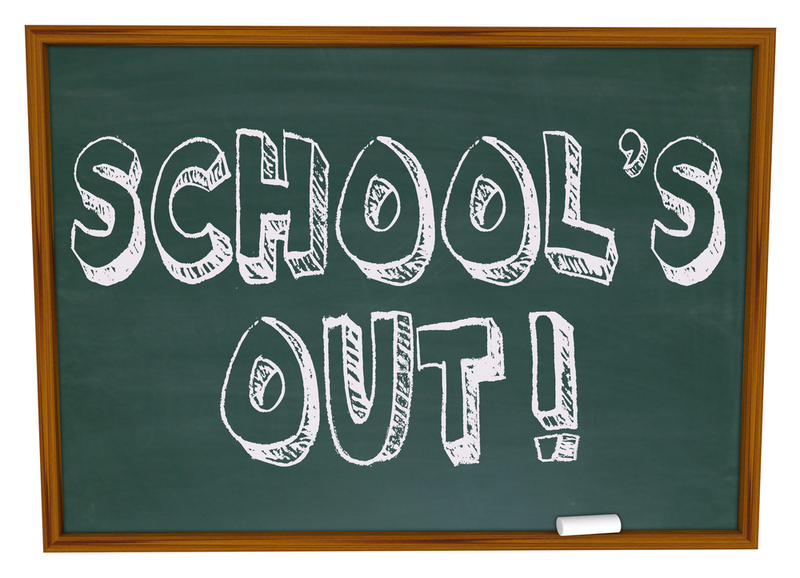 Congratulations everybody, you are nearing the end of the 2015-2016 school year! It feels great to be finished and relax, but what’s next? 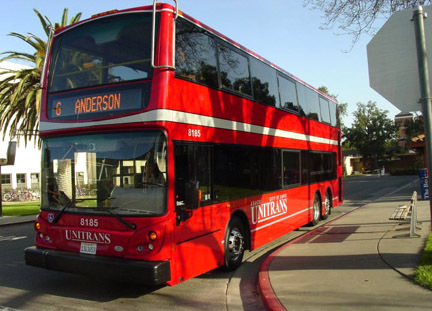 Whether you are spending the summer in Davis for work, school, or maybe just for fun, it is always nice to know what resources are available to you during this time. Any current first-year students might be used to going to their Academic Advising Centers for tutoring in Math, Chemistry, and Writing. These resources are not available in the summer but students can still receive help on campus. Students can go to the Student Academic Success Center (SASC) which is certainly up and running throughout summer, with a few minor differences. Additionally, the SASC will have slightly different hours of operation. These hours are Monday-Friday 10 a.m. – 3 p.m. In addition to help with schoolwork, UC Davis has an Internship and Career Center where students can look for and get help applying to internships. Participating in a summer internship could be a great way to supplement your studies or any other activities you have going on! Click here to learn more. If you are pre-health, you might consider doing a health-related internship over summer! One option for summer housing is to sublease someone’s apartment in Davis. Students who have apartments in town but are going home for the summer are constantly posting their rooms up for rent on Facebook and Craigslist. Additionally, tandem properties (apartments through the school) can often place students in one of their rooms. This could be a fun time if you gather up a few friends and sublease an apartment or room together! It is also a great way to ease into living on your own before the school year starts. Another option is student housing in the dorms, which may be nice if you are a first year student. Note, the dining commons are still open in the summer! So if you find yourself missing the pizza or cookies, you can always go back for a meal or two…or more. Currently, Memorial Union is under construction and the bowling arcade is closed until fall 2016. However, students can still go to the ARC during the summer for some fun indoor (air conditioned) activities. Some of the fun games to play at the ARC are basketball, indoor soccer, racquetball, badminton, and volleyball. There is also rock climbing. You can visit the ARC website for updated hours of operation and any fees that may apply to the aforementioned activities. Another option that I have always been meaning to try is the Outdoor Adventures Club. During the summer they offer fun activities such as rock climbing, white water rafting, and kayaking. If any of these interest you, feel free to browse their website for times, dates, and fees! The Rec Pool is open during the summer and it is always exciting to go and lounge by the pool and jump off the diving board! Fees and information about classes can be found at http://cru.ucdavis.edu/content.cfm?contentID=47. There are a lot of activities to do in Davis during the summer. The town puts on events such as Farmer’s Market, music festivals, movies in the park, and Relay for Life. More information about these events can be found on the town calendar. In addition to the events hosted by the town, students can go to the park in the summer and have picnics, ride bikes along the Davis Bike loop, and catch a film at the Davis Varsity Theater on 2nd St. (pictured to the right). 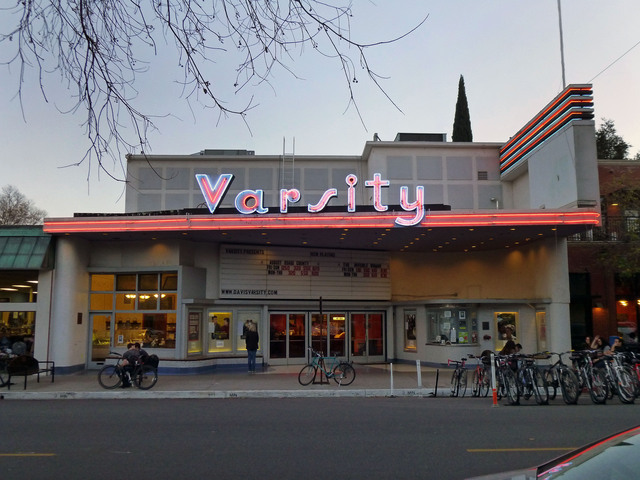 I personally love Varsity Theater because it is a different experience from mainstream theaters. There is also a gelato shop right next to it and the theater will let you bring your gelato inside! 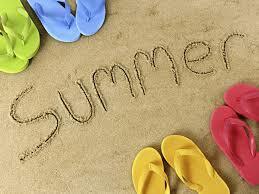 Enjoy your summer everyone! For those of you attending summer sessions, remember to have some fun and relax as well! Refresh…click…refresh – I sat looking at my UC Application, wondering which college would admit me and where I would continue my education for the next four years of my life. As soon as March rolled around and decisions were delivered, this was the only thing on my mind; I obsessively clicked away trying to figure out which colleges I would have to choose from. I remember sitting in the lobby of the Holiday Inn while on vacation, finally seeing what my options were. Like many students, I ended up applying to all the UCs because I was told it would improve my chances but I did not do my research on almost any of them. Ultimately, I ended up choosing UCD but it was for all of the wrong reasons. The reason I choose Davis at the onset was because truthfully, I thought it would be easier academically because it was lesser known. It turns out that is not the case. UC Davis is in fact challenging in its academic rigor as well as pushes students to the height of their potential, preparing them for their future careers appropriately. Ultimately, choosing a school based on perceptions might not be the best method to make such a momentous decision. What ultimately made me love UC Davis the way I do is its beautiful environment; immensely nice people; engaging college atmosphere and youthful culture. Fast forward to today, I am currently a fourth-year Biochemistry and Molecular Biology major pursuing a career in medicine. UC Davis has treated me well from the onset; starting as a freshman, I quickly and smoothly made friends in the dorms and acclimated to life as a college student. The friendly environment coupled with the informative resident and academic advising allowed me to thrive socially, academically and personally. During my first year I utilized all of the tutoring services that UC Davis had to offer as well as the professors and TAs, who always made themselves available to students whenever they needed extra help. After becoming comfortable, it became easier to add on more to my academic workload and pursue activities that interested me. These activities included joining volunteer clubs; community service groups; intramural sports; securing a part-time job as a Peer Adviser, professional groups and many other things the campus had to offer. My story is not unlike my peers and the important takeaways are that UC Davis fosters an environment that encourages involvement, an active college experience, and the pursuit of academic excellence. I became a better person by getting involved, pushing myself academically and engaging in discussions with like-minded scholars and renowned professors. UC Davis has allowed me to discover myself and uncover the kind of person that I want to be after my undergraduate career. I encourage everyone reading this to drop preconceived notions they might have about a campus or university and actually go out and experience it. Without visiting Davis, experiencing the place for myself and giving it a chance, I know I would have regretted my decision. Looking back on it now, I am amazed that my misperception turned out to be such a fortuitous decision that allowed me to grow as both a man and scholar and brought me closer to my career at the same time. Imagine a typical day: wake up in the morning, make breakfast, catch up on the news, and get ready to go out and have some fun! Before you get too happy, we all know this is not a typical day in the life of a college student; especially, not for a student trying to get into graduate school while also working part-time, taking classes, researching and volunteering. Granted, everyone in college is busy with one thing or another, but the difficulty of studying for a professional school exam on top of the work you’re already doing can be immense. This, however, does not mean it cannot be done. In fact, here are some ways to manage your time, keep your morale up, and make sure you’re preparing appropriately for the professional school exam itself. Staying on top of everything can be an enormous challenge, but one thing that makes this undertaking manageable is planning out what needs to be done first, finding a way to stick to that plan, and executing it in a timely fashion. The best way to do this is by using a calendar or planner, whether it be online or hard-copy, this is an absolute must to keep track of the multitude of activities you are involved with. Another helpful tool is sticky notes; these can be found on any laptop app. store and they elucidate short-term goals, putting them at the forefront of your to-do list. In terms of managing your time with respect to any non-class related activities (research, volunteering, clubs, extra-curriculars) – prioritizing is key. Prioritizing involves internal examination and an ability to discern what needs to be done now and what can be done later. This can be influenced by social pressures as well as personal motivations, but it is by far the most crucial aspect of time management – both in and beyond the classroom. Now this is just a given day from my week, but it was particularly useful in showing how many activities and commitments a given student might have to deal with and how prioritizing involves doing some things more and ultimately saving other tasks for later. Ideally, once something is planned, it should be set in stone and followed, but anyone who has planned something knows that this is not the case. Often times impediments or road-blocks appear and plans can be delayed or even foiled. In times when something does get in the way of your plan, you should deal with it first and find a way to make an adjustment to the plan you had made previously. Some of these road-blocks can involve adversity: emotional, academic, social and even personal. When adversity does strike it is important that you keep your morale up, approach the issue in a positive light, and take it one step at a time. This means that no matter how devastating something might be, you have to know that you can overcome it. Furthermore, keeping your morale up, entails staying healthy mentally. This means not overloading yourself, being able to have a social outlet, communicating feelings with others, and having some personal time. A small way to help yourself in this department is to set aside some slots of your schedule as personal time, kind of like what I do from 10:30-11:30 AM in my schedule. Lastly, the professional school exam itself is meant to be one of the criteria used for selecting students into a specific graduate program. This means that it is substantially difficult in nature and a huge test of a student’s skills they have accumulated as an undergraduate. Studying for the exam presents many challenges to a student, especially during the academic year – he or she must find time to balance their current workload, commitments and activities while preparing specifically for their exam. Doing this is enormously difficult but vastly rewarding as well. To help yourself, you may consider scheduling an appointment with Health Professions Advising ( http://hpa.ucdavis.edu/ ) or explore using a test prep company such as Kaplan, The Princeton Review etc. If you implement the proper planning skills, make sure to keep your morale up, and methodically approach your professional exam then you have put yourself in the best position possible to succeed and make your dreams a reality. Are you considering a health-related career but are not sure what your options are outside of being a doctor, nurse, or pharmacist? Then career spotlight posts are for you! 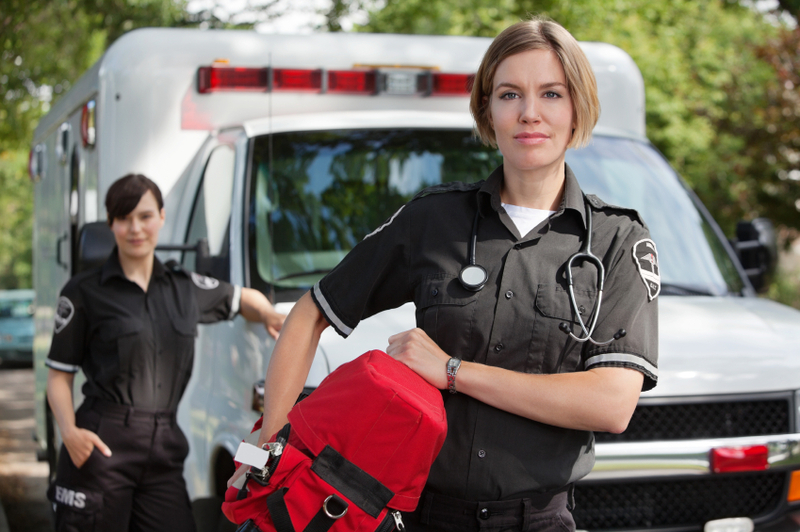 In today’s spotlight, I will be highlighting the Emergency Medical Technician (EMT) career. EMTs are trained clinicians who are the first to respond to emergency situations. These situations include medical issues, severe injuries, and accidents. While the protocol varies depending on where they work, they are typically dispatched by emergency operators. Once on the scene, they determine the severity of the situation and recruit the help of other emergency personnel such as firefighters if needed. EMTs also assist in transporting patients to the hospital and filling out written reports for hospital staff and employers. Some of the most common emergencies EMTs come across are childbirths, car accidents, and heart attacks. Common medical procedures EMTs perform are cardiopulmonary resuscitation (CPR); opening a patient’s airways; bandaging wounds; controlling bleeding; and stabilizing broken bones. EMTs can be employed in a variety of settings. They can work for ambulance services, the government, hospitals, fire departments, and police departments. How do you become and EMT? Basic level- Involves the basics such as dealing with broken bones, cardiac emergencies, and bleeding. This level can be completed by passing the state written and practical exam. Intermediate level- This level of training requires completion of basic training and required training hours. One can expect to be trained in administering intravenous fluids or medications and handling equipment at this level. Paramedic- Becoming a paramedic is the highest level of EMT training. This involves studying physiology and anatomy. There are programs for this at community colleges and once one graduates, he or she is prepared to take the paramedic licensing exam. 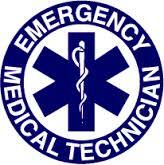 In addition, I would like to highlight the personal characteristics that a career as an EMT requires. EMTs must be able to remain calm under high stress situations; they have to be able to cope with intense scenes such as severely injured individuals. EMTs must also be able to work as part of a team, especially because emergency situations involve a lot of quick decisions that may not be open to discussion. If the information above interests you, you might consider enrolling in UC Davis’ very own EMT program! Hello everyone! Congratulations on completing your fall 2015 quarter! 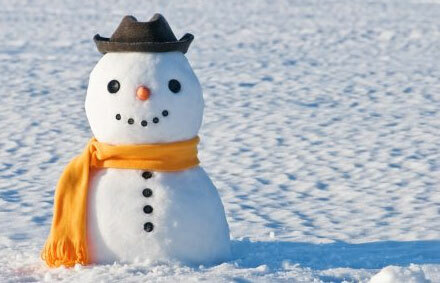 Hopefully you are all caught up with your sleep after finals and enjoying some fun winter activities! Here at UC Davis, we like to keep you on your toes; there are a few things to keep in mind over winter break and I just want to briefly go over them in today’s blog. Some of you may have wait listed a course during Pass 2 for winter quarter. There is no need to worry if you are still on the wait list. Often students are not taken off the wait list until after the first few days of class. Keep in mind that if school starts back up and you are still on the wait list, you have two options: drop the class and add another open class, or stay on the wait list and go to the class’ lecture in the meantime. If you are wait listed for a lab section, you must go to the lab and any other lab times you are interested in because enrollment is usually first come first served. For example, if you are wait listed for CHE2B, make sure to attend your lab and also go to a few other labs that fit your schedule to maximize your chances of getting in. Final grades will not be released until December 25th (Merry Christmas!). I know most of you are probably anxious to see how you did; professors may post grades sooner, but I recommend being patient and waiting until the deadline. This two-week window allows your professors time to grade the exams and submit them to the Office of the Registrar. Additionally, professors might not post final grades on Smart-Site, so be sure to check your academic transcript. You can access your transcript via my.ucdavis.edu. If you do earn a C- or better in a course, you will most likely need to adjust your winter quarter schedule. Do not continue a series if you did not pass a preceding course. For example, if you do not pass MAT17A with a C- or better, do not take MAT17B before retaking MAT17A. I recommend meeting with an academic or peer adviser in your college to create a plan of action. **you may repeat up to 16 units and have the repeated course grades substitute the failed course grades. Classes will resume on January 4th! Be prepared for your Monday classes unless otherwise noted by your professor. Alright, school talk is over for now. Time to eat, sleep, hang out with loved ones, and repeat. Think about your feet for a second and imagine what it would be like if something were to happen to them. Lucky for you, there are podiatrists out there ready to provide you with specialized care for various situations. 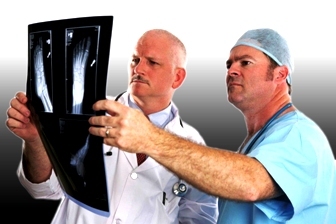 A podiatrist, or as they are professionally referred to – Doctor of Podiatric Medicine – specializes in foot, ankle and various leg structure care. According to the American Podiatric Medical Association website, ” Podiatrists are the most qualified doctors to care for your feet. They complete four years of training in a podiatric medical school and three years of hospital residency training. This training is similar to that of other doctors.” Their specialties can vary from surgery to sports medicine and even includes diabetic care. Most aspiring health professionals are unaware of this career and do not realize that it is an alternative way to work with patients in a close-knit capacity aside from being a physician, physician’s assistant or even a physical therapist. 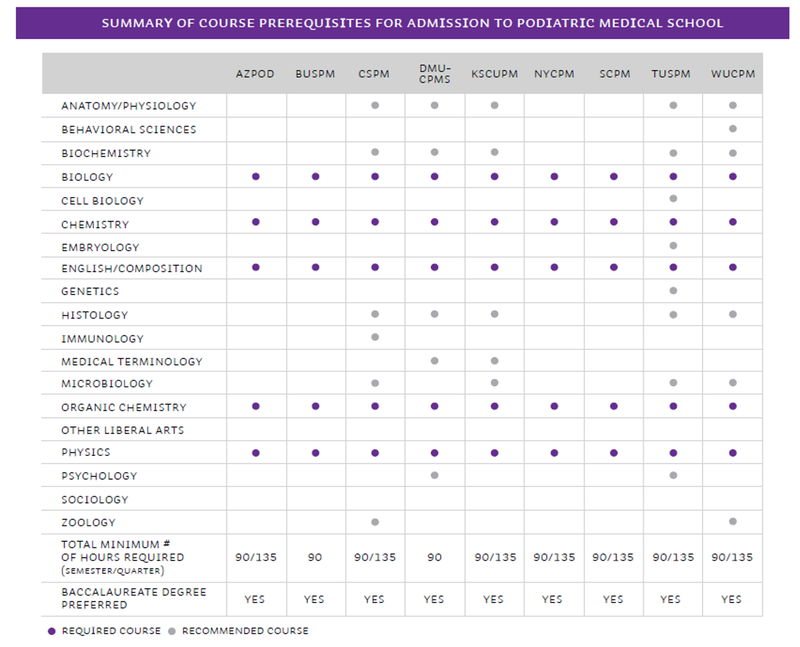 You can choose any major while planning to pursue podiatric medicine, but you will need to take make sure to take the MCAT. It is important to remember that AACPMAS starts processing admission the first Wednesday in August for Fall admission the following year. Deadlines are April 1st for Fall admission and final applications due by June 30th. Letters of recommendation and secondary application dates are released on a per school basis. Podiatry is one of the hottest new professions out there, with an average salary of $175,000 (AACPM, 2012). The working conditions usually consist of an office or clinical space; podiatrists have flexible hours and spend a bulk of their time with their patients.Be sure to go on to the Health Professions Advising site (listed below) to get more information regarding the profession and how you can start early with shadowing doctors and gaining clinical experience. I hope you found this to be a good introduction into the profession. You can also find information about the preparation for podiatric medical school by checking out the guidelines provided by Health Professions Advising or on the AACPMAS website.